Hi All. I don't really want to sound to negative about these appartments as we had a great holiday. We went on a self catering holiday and did not eat at the apartments at all. We stayed at the Siroco 2 which seemed to be all self catering, Siroco 1 seemed to be All inclusive. Our Apartments were basic but had good size rooms. Kitchen facilities were basic, which we did not mind as we did not cook at all. I think we would have found it difficult with only 2 cooking rings and a microwave. These apartments were meant to have been renovated 2 yrs ago, I wouldn't like to have seen them before renovation. Then saying that, Siroco 1 apartments look excellent, Probaly had the say facilities as ours but did look in better condition. Our apartments were cleaned 6 days out of the 7 so this did make up for it. Did not have much dealings with hotel staff but they did seem to be friendly enough. The hotel is a good 10 mins walk to the centre (Square) but that depends on what square you wanted to go to. Only 5 mins from the beach. We enjoyed the walk so that did not bother us. 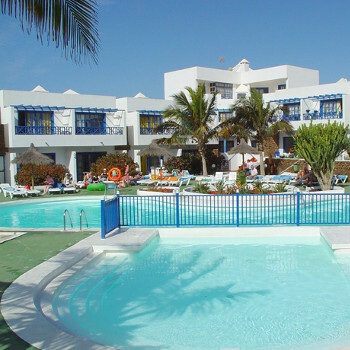 There are 2 pool areas which we used 1 or 2 times but spent most of the time at the beach. The pool seemed to be cleaned every day, but the kids could not go into the kids area as this was just covered in dead fly's. I did notice that you had to be up early to get your towel out before the sun loungers were gone. There was no entertainment which we could see but the pool bar seemed nice enough. Only used this once, but did not eat at it, If you like chicken you will love it. I wouldn't go back to these apartments, only because we have been to better, On saying that we did get them at a excellent price and you only get what you paid for.